We obviously couldn't have a taste of science festival in Space City without talking about, well... Space. And who best to talk about Space than someone who has actually been there? Join us and and listen to a real life NASA Astronaut talk about his experience living in the International Space Station for 6 months! Plus you'll get to find out how food gets prepared for life in the ISS, and how Space Exploration might affect human evolution. Basically everything you need to know before we start colonizing Mars. 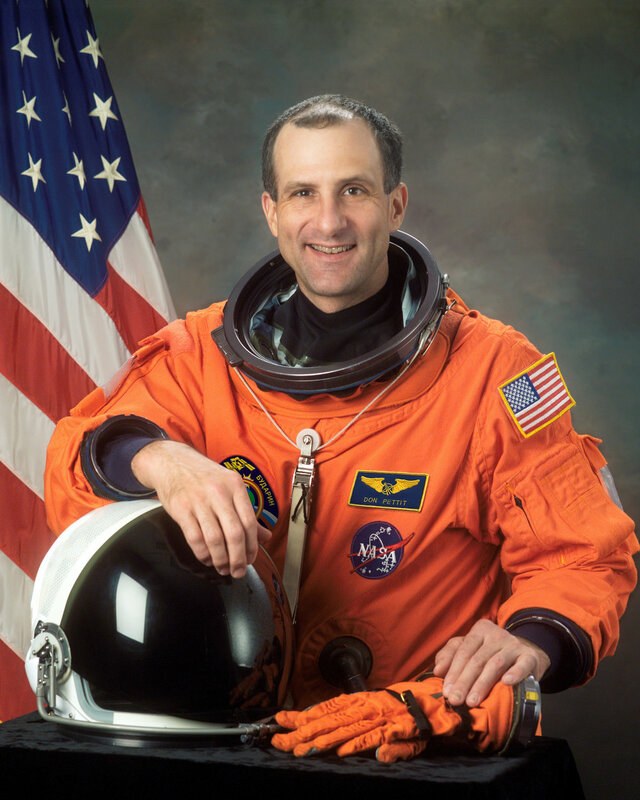 Donald R. Pettit was selected by NASA in 1996. The Silverton, Oregon native holds a Bachelor of Science in Chemical Engineering from Oregon State University and a Doctorate in Chemical Engineering from the University of Arizona. Prior to becoming an astronaut, he worked as a staff scientist at the Los Alamos National Laboratory, New Mexico. A veteran of three spaceflights, Pettit served as NASA Science Officer for Expedition 6 in 2003, operated the robotic arm for STS-126 in 2008 and served as a Flight Engineer for Expedition 30/31 in 2012, where he lived aboard the International Space Station for more than 6 months. The long-term survival of our species may depend on our ability to establish permanent colonies beyond earth. But how would living on other planets or moons affect our evolution? We will consider how mutations, natural selection, and other evolutionary forces might play out for humans and any other species we bring with us as we colonize space. I have a masters degree in food science and have worked in NASA space food systems for more than 30 years. I manage the food system for the ISS. A description of the types of food provided by NASA to the astronauts on the ISS, how it's packaged and how they prepare it and consume it on orbit.